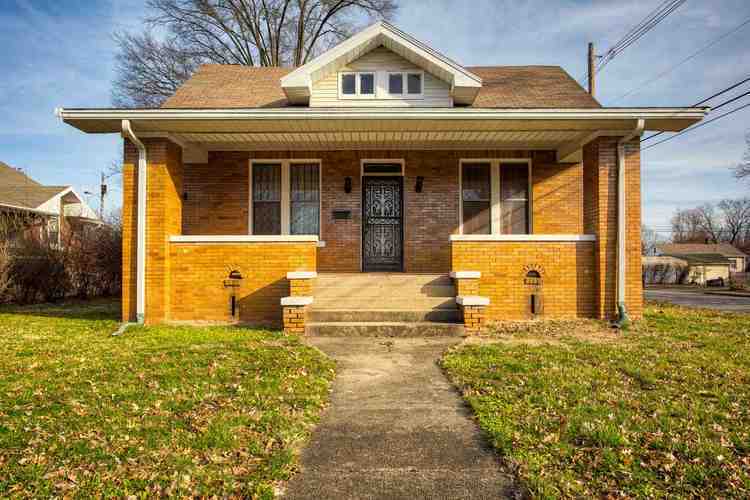 This is your opportunity to own a Classic All-Brick, 5 Bedroom Home just 2 blocks from historical Bayard Park! Large covered front porch runs the entire width of the home, Beautiful hardwood floors throughout the main floor, fabulous Kitchen with stainless appliances, full unfinished basement, attached garage, privacy fenced backyard, all on a corner lot. The spacious Living Room also runs the entire width of the home and has built-in bookcases on both sides of the decorative fireplace. The Dining Room is currently used as a Family Room. You will love the recently updated Kitchen with soft-close drawers, elegant cabinetry, high sink, and stainless appliances with double oven and smooth-top counter range. The Master Bedroom is used as a dining room, and has access to the Full Bath via a clever little space with built-in cabinets and shelves. There are 2 additional Bedrooms toward the back of the main level. The Hall Bath has beautiful black and white 1920's tile flooring, real "subway tile," tub/shower combo, and pedestal sink. There is also a large hall closet. Storage is not a problem in this spacious home! Upstairs are 2 more Bedrooms, large living space, and an extra room at the top of the stairs. The upstairs needs paint and carpet, but there may be hardwood floors under the carpet. The completely open unfinished Basement has tons of potential, and the washer and dryer are included. There is an old grill and 1/2 bath that are not usable. The Attached Garage, a rare feature on an older home like this, has a door opener with keypad. Home is to be sold as-is; inspections are for Buyer's information only. Directions:From Hwy 41, W on Bellemeade, S on Kerth. Home is on the corner of Kerth and Powell.